What is AWOL Academy about? $30K,,,This must be a JOKE! I’m sure you’ll agree that there is an abundance of online training platforms out there, some good, some bad and before we get into this review, what is AWOL Academy about and is your bank balance healthy enough, then let’s take a look at some facts first. Note: Prior to this AWOL Academy Review 2018, there have been considerable changes in the pricing structure! Summary: It is a legitimate affiliate marketing training platform with some good training that can be found, just remember to drop in at the bank, because you will need some very deep pockets. Recommended – No, there are much better alternatives that won’t break the bank! 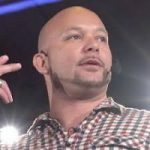 Around 2013, Kameron George whilst a member of the multi-level-marketing company Empower Network (you know the one that went bankrupt leaving its members scratching their heads and with empty pockets) came up with the acronym AWOL, which he bestowed to his group of Empower followers. A little confusing don’t you think as Kameron Georges’ take on AWOL is “another way of life” but its catchy and stands out as everybody knows of the official term. 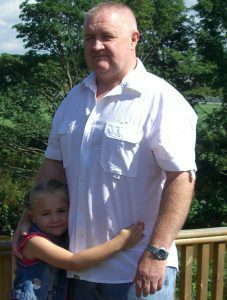 At the time he and another colleague whilst with Empower, came up with the idea of branching out on their own, and came up with a solution and a name, which didn’t go down too well with the terms within Empower, and the business “Project AWOL” was born, and not very long after they parted ways with Empower. Suffice to say “Project AWOL” (today, still part of Academy AWOL) if you check out the site is a charitable organization which devotes time and money to the organization Change Heroes, which helps underprivileged countries throughout the world. Just what actually happened with project AWOL taking a side-swipe to allow for AWOL Academy to be born is a little cloudy. The website is well overdue for an update. Where the about page refers to “What household name companies have emerged in the last 5 years? Facebook, Instagram, YouTube, and Google just to name a few. As you can see each one of these products are a lot older than 5 years, Facebook 2004, Instagram 2010, YouTube 2005, Google 1998 – Your brand is your website and that is what people see first. No excuses there! Has a B rating on BBB (Better Business Bureau) website with a customer review rating of 73% but that is from a total of 22 customer reviews so don’t get too excited yet! Keep a hold of your purse strings! What is AWOL Academy about: Is your bank balance healthy enough? AWOL Academy Review 2018! I actually first came across AWOL Academy through a promotional video, with Kameron George addressing himself as the owner of an obscenely large mansion, with flip-flops and the baseball cap on his head in reverse looking cool, briefly telling you about how he got to that position, coming from meager beginnings who worked in a coffee shop in debt up to his eyeballs. How many times have you seen and heard the very same script? A little old don’t you think? AWOL Academy was launched in 2015 and is the brainchild of 2 long-time friends Kameron George and Keala Kanea. A training platform dedicated to helping entrepreneurs and newbies alike how to become successful in the online world as affiliate marketers, and become financially secure. Just to give you a little taste of things to come, when you register for the webinar, which they say is live but I can assure is not, then there is a free 17-page booklet you can download. Its called “Freelance Marketing Secrets” Your Step-By-Step Guide to Launching Your HIGH-PROFIT Freelance Marketing Career! For anybody who hasn’t a clue about what affiliate marketing is then I’m sure it might whet your appetite for things to come. All this basic information can be found very easily on YouTube and won’t cost you a dime. The same information that has been revamped, time and time again but re-packaged differently. AWOL Academy training modules – Let’s take a look and see what you get and whether this training is right for YOU! 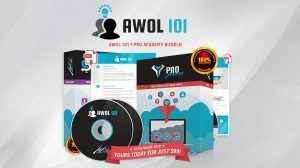 In order to fully become part of AWOL Academy and the community and support, you would have to pay out this monthly fee of $49.95 to become part of their Facebook Group. A little expensive don’t you think to join a Facebook group? AWOL 101 Coaching is not in the list of modules on their website and only available on registration so that will be the first time you are aware of it. There are 3 hours of videos that give you an overview and goes into the coaching process. Followed by a 1 on 1 coaching call, which covers a lot of sales patter! This is the module that comes free with registration and covers the business foundation. Goes into detail about affiliate marketing, setting up your website, web hosting, understanding lead pages, sales funnels, email responders, and a host of other things besides. Created with the newbie in mind! You are taken step by step through the course lessons within the Pro Academy module. In total 25 videos, so quite intensive! Should be OK to start with the $32 monthly subscription fee. $12 a month to start with and upgrade the more you develop. 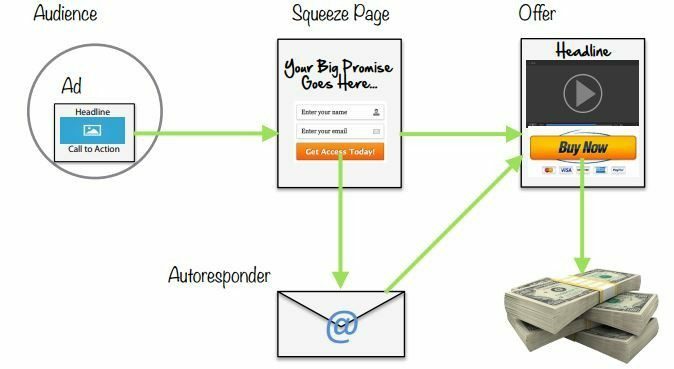 Note: GetResponse has a landing/squeeze page builder built into the system and therefore you could save money here, although Lead Pages is a dedicated Landing Page Creator and a little more advanced, but does that really matter when you are starting out? Overall I would say that you do get pretty good value for money here and it does lay the foundation for you to build on, but there is still a lot to learn! For someone new coming into Affiliate Marketing, and with no knowledge at all, then it clearly teaches you the basics of what all this is about, but to build on this knowledge you are going to need further help. Now, this is where it can start to get a little expensive, so maybe book yourself down for some overtime at work! They say that the money is in the list, and this is true but in order to build a list, you need to know how to get your message, your offers, and promotions across to the masses so that they can become your subscribers! You need to know how to nurture your subscribers, keep them interested otherwise you will lose them and they will unsubscribe. We do it all the time! It covers, how to increase delivery rates, open rates, click thru rates and some other strategies besides. With any business, conversions are key and without them, you simply aren’t going to make any money! With a price tag near to $2000, they claim to have discovered “coveted conversion secrets” and by using this amongst a “hypnotic language” of sorts, and by creating a certain persona, that you will attract an irresistible desire within your audience who will instantly take action and purchase your offers and services. I guess what they are trying to convey is a certain conversion technique that is unique to AWOL Academy. Traffic is paramount because without it you won’t make a dime! There is 2 types of traffic, Paid and Free and both have their benefits! At Traffic Academy the enthesis is on Paid Traffic and for a newbie, this can be very expensive, because there are no guarantees and with everybody marketing the same high-ticket products in the same space, then extremely hit-and-miss, and also soul destroying as you are now starting to realize just how expensive paid traffic can be. These are people searching on Google, Bing etc who are looking; not necessarily ready to buy! With PPC (Pay Per Click) each click a person makes against your offer costs you, and there are no guarantees that they will enter their details or purchase your offer. PPC can be quicker if you know what you are doing, expensive because you are forever modifying your campaigns. That’s why SEO (search engine optimization) for me comes out on top, where it may take time to accomplish, but when you get there it works for you 24/7/365 and the best thing about this method is its FREE. I think we’ll all agree that to be successful in life never mind business, we have to be efficient in many things, and right up there will be learning to manage your finances. This module covers money management, strategic tax planning, investing, and more and with a hefty price nearing $5.5k it had better live up to some great advice that is on offer. Whilst I don’t have any reason to doubt these claims, I think I would give this module a very wide berth, I mean take a look at the 2008 Bank Crisis and these people were supposed to be experts. No, I think I’ll pass on this one! This is the last of the training modules available and what I am seeing here is a massive price shift in the last 12 months, and we are not talking about a downward spiral either. This module delivers ongoing mentoring and training from Kameron and Keala on a weekly basis covering all the aspects of building your online business, pretty much what is covered in the previous modules. It comes with a hefty price tag of $17,997 so it better be good! The beauty of this mentoring module is that it has to be renewed on a yearly basis! Yes, seriously, no kidding! This is where the money is, in the affiliate program if you can manage to convince someone to part with their hard-earned cash. With training that costs this much the potential for earning some real cash are very good, you would think, right? The affiliate program and how it works. Commissions are based on a referral you get to join AWOL Academy, Any referrals your referrals take on board you will get 5% commission. I must agree there’s potential to earn some really serious money here, its just going to be extremely difficult to find people interested, except for ones with very deep pockets, and those like to keep hold of it! I mean really, what would you say if someone knocked on your door offering an affiliate marketing training course with a hefty price tag of around $30k, which is the entire Awol Academy training? You’d probably slam the door in the persons face, that is for sure! AWOL Academy Review 2018 – Estimated yearly costs! Bearing in mind that AWOL Elite is a yearly subscription!! That is a conservative figure because what I haven’t taken into consideration is PAID Traffic! $348 – That’s all-in and that’s for everything that AWOL Academy is offering and more, much more!! For what you are having to pay out for AWOL Academy, you could get a premium membership for 88 years!! Check it out what have you got to lose, and the beauty about this training is that it is 100% FREE to join and you won’t be asked for a CREDIT card either, that way you can check out everything before you make a commitment, and I nearly forgot, NO UPSELLS either!! Most of the training is well received. Refund Policy – A 14-day money back guarantee, although 14 days is hardly enough time to make a judgment call. Affiliate Program, where there’s potential to make some real money. High ticket price from $99 all the way up to $17,997 max’d out at $30k. There seems to be an enthesis on recruiting others and less on building your business. Guaranteed $10k profit in 3 months – This is extremely unlikely that a newbie is going to achieve this landmark, and to be part of this training it’s going to cost you a few grand! Maybe 6-12 months is a more conservative figure. 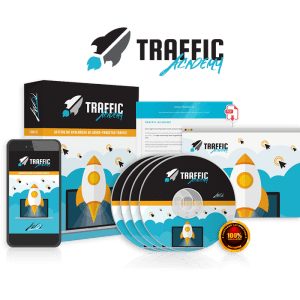 Paid Traffic is the main source of traffic taught and for a newbie can be very expensive, as there is an abundance of traffic sources that you need to stay away from. This you will have to work out for yourself! Hidden costs, that aren’t mentioned before you commit! No FREE trial membership – If you have nothing to hide, then why not? What is Awol Academy about -The Verdict? I think you’ll agree that you need very deep pockets to participate in this training platform. In order to take advantage of the training and learn everything about affiliate marketing and how to become a success story, you would need to make a big commitment, and many just don’t have that type of cash lying about. If you are coming into this as a total newbie then the training in Pro Academy would give you a taste, but would you seriously part with $30k of your hard-earned cash, with absolutely no guarantee whatsoever? I seriously doubt it, but I may be wrong! It may be that you just want a taster and buying in for the $99 might be a way to get your feet wet, but remember what you are looking for is a unique opportunity, where you can feel confident knowing that you aren’t going to have to take out a 2nd mortgage, right? There is no secret to affiliate marketing and everything you see at AWOL Academy can be found for FREE on YouTube, it would just take a little longer to get there. I clearly don’t recommend this training platform due to many factors, but the big one is cost. I hope I have shed some light on this training platform and opened your eyes. Feel free to leave a comment below and tell me what you thought of the review. I will be only too happy to answer all your questions and look forward to connecting with you. Hello Mick! A few years ago I was a member of the Empower Network. I have a clear sense that although Dave and Dave are not behind it. Then their spirit rests heavily across the Awol Academy. That time, it was not the training in affiliate marketing that it was. No, it was selling as much of the program as possible. The pricing I see here is entirely out of step with what it really should cost to learn about affiliate marketing. I very much hope that your article helps warn others against this crazy program. There are alternatives. Which one would you recommend? 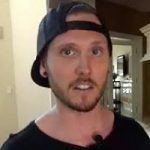 Hey Steen, A few years ago I nearly joined Empower and glad I held back, but spent many hours scanning the Internet for trustworthy training solutions, and due to a lot of misinformation, been stung a few times (like most), I eventually stumbled across Wealthy Affiliate and glad I did. Can’t believe it took me so long to find, but better late than never, eh? 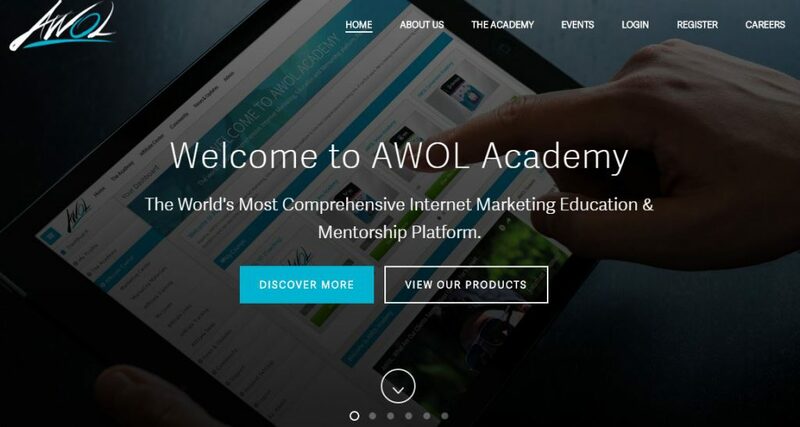 AWOL Academy sounds like it will teach you everything you need to know about being successful at affiliate marketing. But at $30k, wow is it expensive. Do you think that by following the training you could get a decent return on this investment? Or is there a less expensive way to get the same training? Hey Ed, for someone coming into the online world with absolutely no knowledge, it sure is an expensive solution. There is some decent training to give the newbie at least a basic understanding, but I hate how they reel you in and give you a taster, and then the newbie has a big decision to make, either make a full commitment and purchase further modules or call it a day. There are many alternative solutions out there that don’t cost the earth and where all the training is in one place, with absolutely no up sells whatsoever. One I would recommend 100% is Wealthy Affiliate. Everything that AWOL Academy training gives you can be found at Wealthy Affiliate in abundance and the costs are minuscule in comparison. I almost bought the AWOL story. It sounded so good. Until I did some research and found out how much it was really going to cost. I wish I had read your review. You’re right about AWOL being a catchy titles with two meanings one the old military term the other “another way of life” – for them anyway. At those upsell prices it’s no wonder they have Lambo’s in the garage! You’ve done a real service putting out the truth about this affiliate marketing training product. If anyone chooses to go forward with it at least they will know what they are getting themselves into after reading this review. Hey Steve, whenever I see a promotional video with the mansions, cars, holidays, it puts me right off. It’s about time the script was changed, but why change it because it obviously still works. I wish people would just research things thoroughly first, before making, as we see in this case a massive commitment. If a product is so good then there is no need for all the hype because the product will sell itself, right? Thanks for your thorough review about Awol Academy. I’m completely shocked though that after you add everything up it can cost you around 30,000 dollars! Like you said, many people including myself don’t have that kind of money lying around! I have recently spent some time researching ways to make money online and affiliate marketing seems to be my best option. Do you have any suggestions? Hey Michael, AWOL Academy is just one of the many businesses online who teach you affiliate marketing, and whilst a newbie might benefit in the basics, as you can see the costs are way out of reach for many, and besides, why would anybody commit themselves to training platforms like this, when there are much better alternative solutions out there at a fraction of the cost? If you are interested in learning affiliate marketing from the grass-roots up, then one training platform that I would recommend 100% is Wealthy Affiliate and you can check out my review here! Next Next post: What is SwagBucks about? Is it LEGIT and is it WORTH it?